The Bobby Greenhash Foundation is dedicated to creating conversation and growing the understanding of the holistic benefits, legalisation and sustainable practices of alternative natural healing; integrating this ancient miracle plant back into modern society. Founded in the memory of all of the millions of people that have been abandoned by the system, BGF inspires hope and empowers our community by giving them a choice. 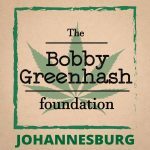 “The Bobby Greenhash Foundation – Johannesburg” is a member of the organisation and an authorized distributor of our Alternative Natural Healing Products. Visit CBDsky.com to see the endless benefits from our organic full spectrum oil infused in over 50+ premium products we offer. Fast Global shipping included. At CBD SKY we grow all of our hemp for CBD oil in the USA using only proven organic, traceable, certified practices. Our organic full spectrum hemp comes from natural genetic techniques at the production level where we breed plants to produce ultra high CBD potency with no detectable levels of THC. We guarantee continuing enhancement of hemp plants and products by using the latest technology to enhance our genetic hemp strains in our GMP facility. Our passion for farming offers peace of mind in our products so that you feel secure when ordering from CBD SKY online. All of our hemp is highly regulated from growth to distribution to make sure that we keep our promise of consistency, safety, and potency all backed by a COA. At CuraNatura we are serious about growing Cannabis and making extracts the right way. We use only organic plant material grown by our knowledgeable cultivation team. Our extraction standards ensure as clean a product as possible. Delta 9 Envirop has many cannabis products on offer including FECO capsules and suppositories. Our flagship product, D9E Cannabis-Coconut Infusion is the most versatile “all-rounder” product in our range. It can be ingested or used topically and the coconut oil increases metabolism helping the body to absorb more of the healing Cannabis Oil infused in it. This product can be used to treat a very broad spectrum of ailments and is also perfect as a preventative measure, and to promote general good health. 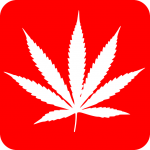 Medical Cannabis Dispensary is South Africa’s trusted online resource for medical marijuana. Cannabis oil is a powerful medicine – not an intoxicant – which provides exceptional, proven benefits to patients with a serious illnesses, including cancer, Alzheimer’s, epilepsy, diabetes and multiple sclerosis. We provide education on cannabis oil and how to use it, and hope to help thousands of South Africans enjoy a better quality of life. 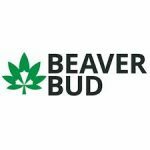 Through our decades of experience in cultivating and experimenting with the cannabis plant, we want to help patients achieve a better quality of life through by empowering them with knowledge and connecting them to reputable providers of the highest quality cannabis oil products rich in CBD, THC, and other cannabinoids and terpenes. While cannabis is still technically classed as an illegal drug, our team at Medical Cannabis Oils South Africa want to educate people on its astounding benefits through our website. Contact us today to find out how to purchase high quality organic cannabis oil, for alternative medicinal use in Southern Africa. Our seed strains are individually procured from reputable international seed banks specifically for their medical attributes. Our plants are harvested when the flowers are at their ripest and covered in crystals. The cannabis is then cured for a minimum of one month, then the entire plant is infused into coconut oil at a 1:4 ratio. Coconut oil has its own characteristics that are highly beneficial, not only in helping with the maximum absorption of all cannabinoids [THC and CBD] from the cannabis plant, but also for the overall health of the person. We provide alternative medical solutions in the form of the purest CBD extract products available in Africa. Please view our selection of CBD Dominant extracts. Every batch is extensively tested for quality and safety. 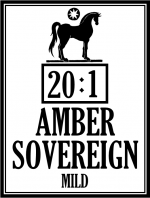 All oils are purified via fractional distillation and chromatography for guaranteed purity and efficacy.